In Moscow, the FBI and their Russian counterpart, the MVD, are working on a joint mission to apprehend Russian mobster Ghazzi Murad specifically for the murder of Mayor Nikolai Semankho. During the arrest, they are forced to kill Ghazzi. Ghazzi's brother, Terek Murad, also a mobster, begins his own form of deadly retribution against the MVD for Ghazzi's death. But the FBI and MVD also get wind that Terek has hired an assassin by the code name Jackal to carry out a hit on a high profile but unknown American target for the Americans sticking their nose in Russian affairs. Intelligence points to that target being Donald Brown, the Director of the FBI. 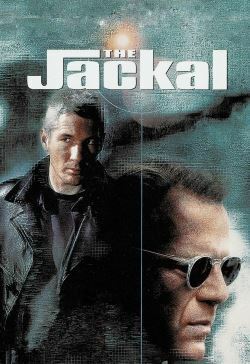 The Jackal is known only by name and reputation but no one in authority knows who he is, what he looks like or if he even really exists. They learn of only one person alive who they know has had ties to the Jackal: former Basque separatist Isabella Zanconia, whose whereabouts are unknown. As such, the FBI and MVD decide to turn to the one person they know who has had ties to Isabella: Declan Mulqueen, who is currently in an American prison serving twenty-five years for his deadly IRA activities. To their surprise, Declan purports to have met the Jackal. Although they are unable to meet all his demands including not being able to guarantee his release and return back to Ireland after all is said and done, Declan agrees to help them on the promise that they will do their best to meet that request. What happens is largely a function of Declan's relationship with his two handlers, the MVD's Major Valentina Koslova and FBI Deputy Director Carter Preston, the latter in particular who does not fully trust Declan. It is also affected by the nature of the history between Declan, Isabella and the Jackal. Through it all, Declan may, if given the opportunity, do what Carter believes he will do, which is run without keeping to his side of the bargain.